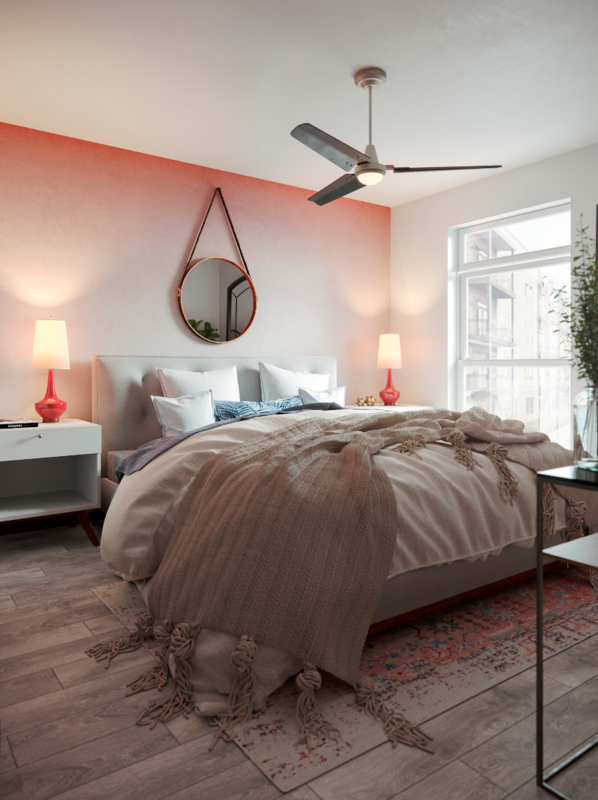 If you're on the lookout for professional 3D rendering services, researching examples on the impact 3D may have on your property is an essential step. Check out these still renderings our 3D artists have brought to life. 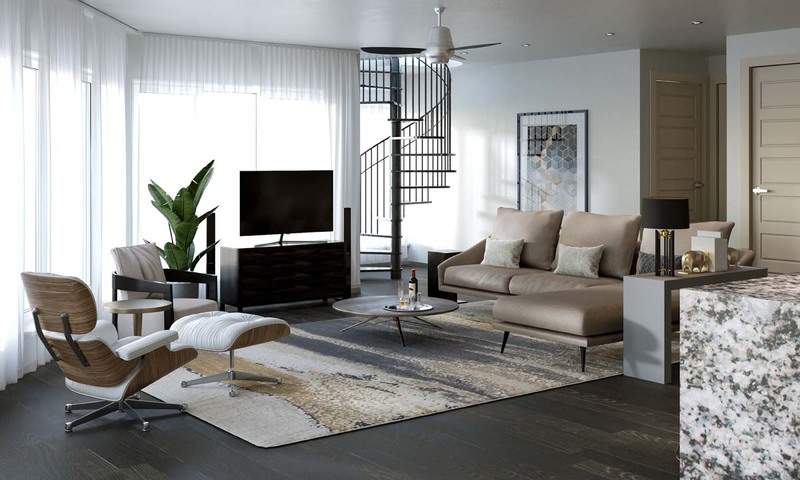 Both of these living rooms you see below are rendered images of multifamily communities. The first image is District at Scottsdale. The second, Coeval, a multifamily community in the South Loop of Chicago, IL. 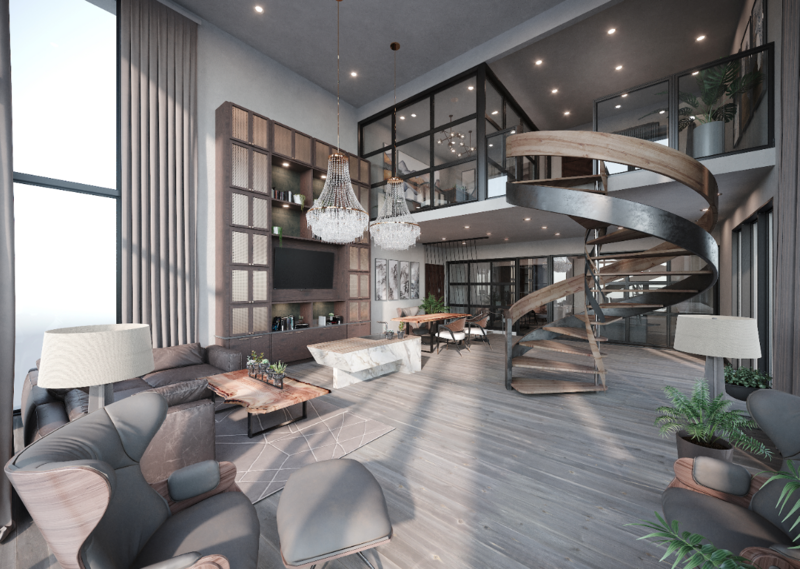 Our team of 3D architects pay close attention to detail with all 3D renderings, and as you can see in both still images, texture, light and shadow play a big part in what makes these renderings feel so real. Constructing 3D isn't exclusive to creating renderings from scratch. Sometimes a property may have renovations and require 3D elements to be added to real photographs for marketing and pre-leasing purposes. 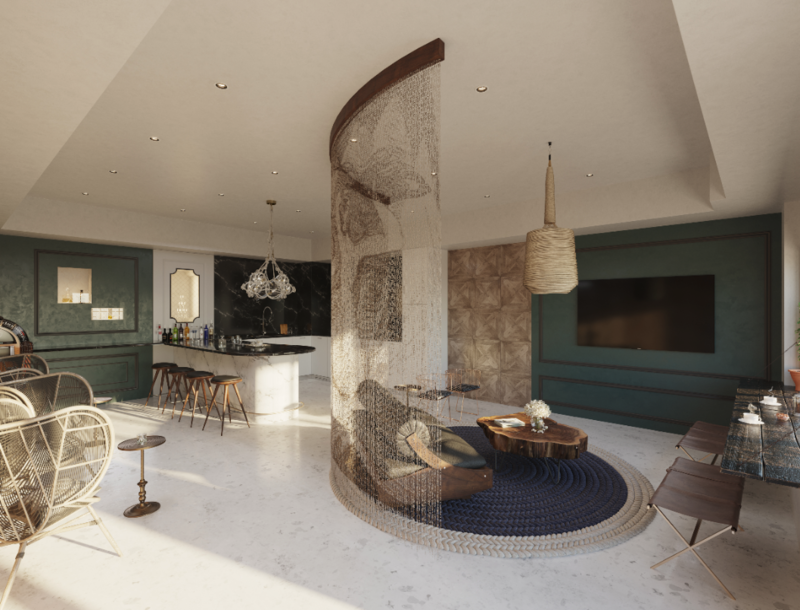 You can see in these images below, our 3D architects have virtually a single living room with photo-realistic elements that bring an otherwise empty room to life. 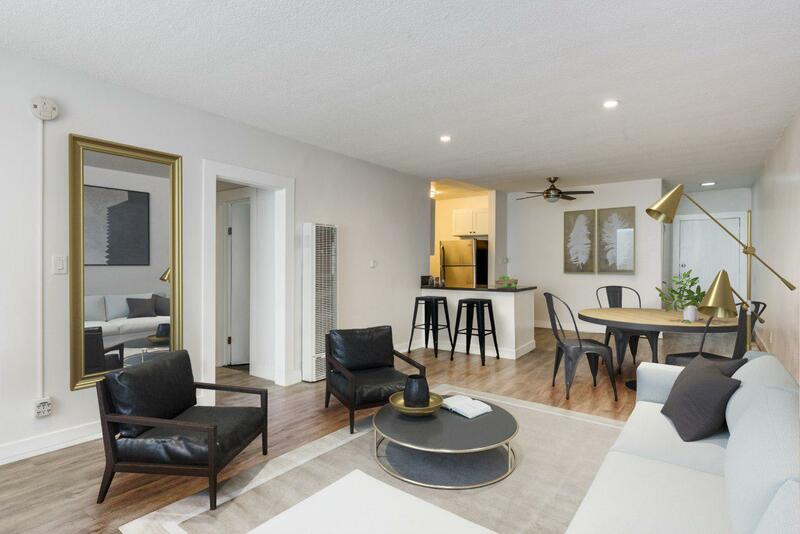 Virtual staging is a completely different process than creating full 3D rendered images, but the benefits of virtual staging are worth the investment. Kitchens are the heart of any home and one of the biggest selling points for agents. It's important to bring kitchens to life with realistic 3D elements. 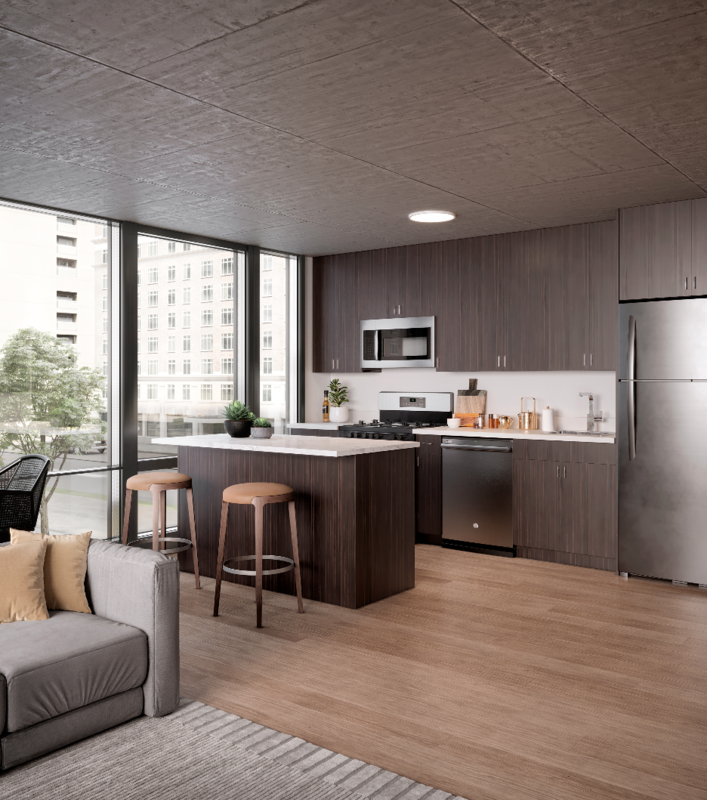 Below are a few examples of 3D kitchens our own 3D artists have brought to life. 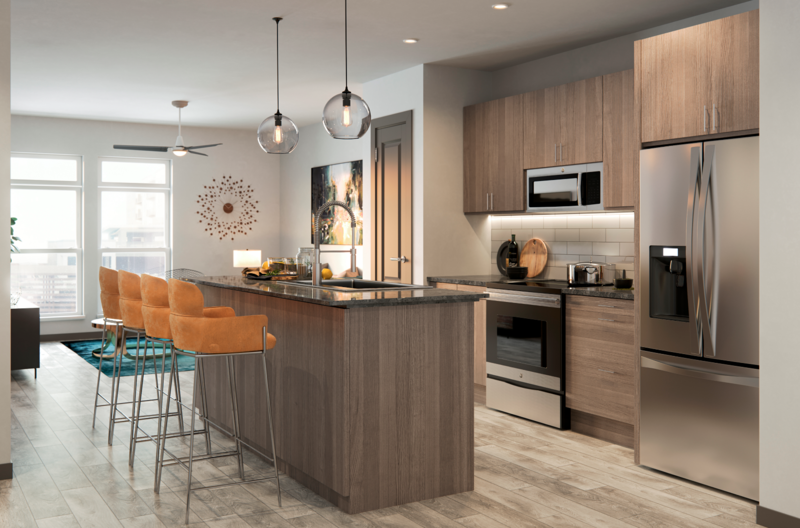 The key to designing 3D kitchens is helping the audience really see themselves in the space, whether that means adding personal effects or inviting elements like plants and decor that make the kitchen feel like home. Like kitchens, bedrooms are a major selling point to any home. That's why it's important to consider adding personal touches that make the space appear lived in. 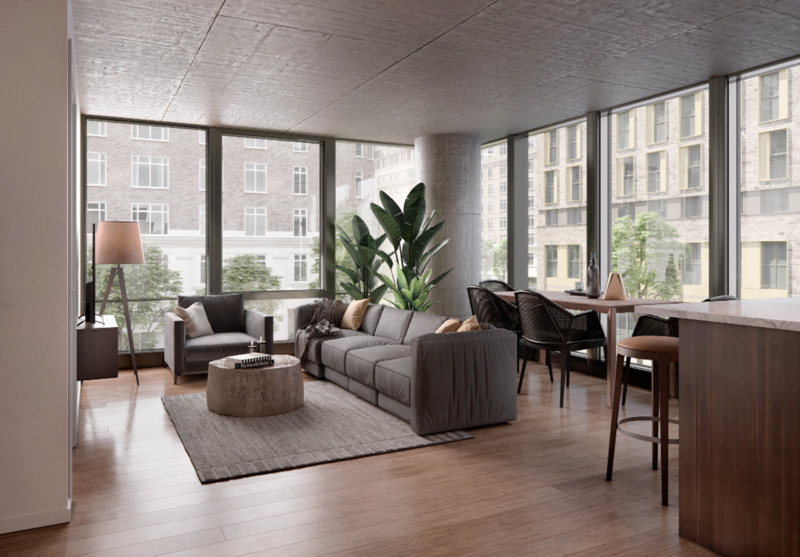 While that may seem counterintuitive to selling a brand new place to prospects, personal touches help 3D renderings appear less modular or cartoonish. The ultimate goal is to make 3D renderings look and feel as real as possible. Incorporating texture and shadows add depth to the image. Additionally, movement in a rendering helps it feel more real. As you can see in this 3D rendered image below, the yarn blanket thrown over a duvet isn't uniform — it's placed meticulously in a sort of unsystematic way to help the 3D image feel life-like. 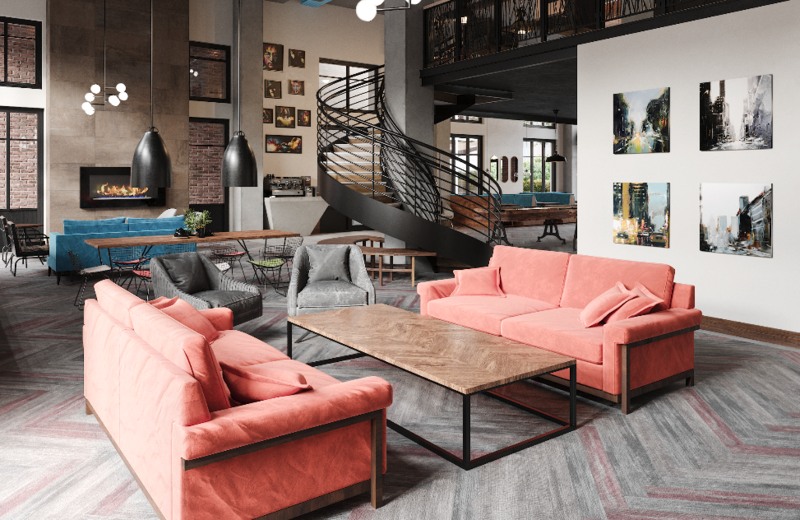 Community clubhouses and lobbies can really set the scene for your property. Whether it's a residential community, commercial real estate or hotel property, lobbies are a statement room. Our 3D architects carefully work in details, light and shadow to make lobbies and clubhouses feel grand and welcoming. We all know curb appeal says a lot about a property; that's why exterior renderings are easily one of the most important elements in architectural designs. They also take the longest to produce due to the landscaping and the environment around the building, but they're essential to developments during the pre-leasing stages. Our 3D artists create every landscape element with precision to ensure that the final rendering is what the finished development will look like. Below are two exterior renderings of Solis Decatur in Atlanta, GA, the front and rear of the building. Looking for more examples of 3D Renderings? Explore our gallery to discover more 3D still renderings and 3D virtual tours.